At DNS accountants we give our clients personal attention to comprehend and evaluate their needs. We are a top accountancy firm in Leeds with expertise in helping owner-managed businesses, freelancers and contractors across various industrial sector. Our well qualified team of chartered accountants and tax accountants deliver financial advisory, accountancy, taxation and consulting to our clients in and around Leeds. Our people work across more than 15 industry sectors with a prime focus to deliver measurable and lasting results. Our team of learned chartered accountants works closely with the business to understand their needs and customize our services depending on the sole requirement of the business. Our capable team and tools help businesses put together a strong compliance and reporting base. Our firm believes in servicing client in the most feasible way and save taxes and money at every possible opportunity. We are the best accountants in Leeds and offer reasonably priced service to businesses and private clients. Leeds is home to many companies in the financial sector and it is hub for financial services in the United Kingdom. Apart from financial services, the area is popular for mining. Other industries/professional services in Leeds comprise of retail and legal sector. The largest retail chain – Walmart, leading bank of the United Kingdom – First Direct and the largest law firm in Yorkshire – Gordons LLP are few of the prominent companies in Leeds. Online accounting solutions typically are responsible for managing the firm’s financial records such as receipts, payroll, accounts receivable, accounts payable etc. to keep an account of the flow of funds in the business. They provide answers to questions like – What is the current inventory? What records exist for receipts, payroll and other fund flows? The management uses accounting systems to establish long-term investment goals for the business and to oversee and control the financial resources of the business. Nomisma Solution, our cloud-based accounting solution is programmed to meet the requirements of contractors, small businesses and freelancers. Nomisma is a very economical and fully integrated solution providing bookkeeping and taxation management including Value Added Tax (VAT), payroll and filings. As accountants in Leeds, DNS Accountants help clients meet their statutory requirements. The experience of our learned team of chartered accounts in Leeds enables us to tailor our services exclusively for the clients and the sector in which they operate. As accountants, we believe that accounts is not just a statutory obligation rather, a chance to identify possible risk areas, thereby adding value to the business. Statutory Accounts – It is the fundamental duty and legal commitment of any company registered at Companies House to prepare and submit annual accounts. Our expert team of chartered accountants and taxation accountants at Leeds guide clients at every step and ensures complete transparency right through the process. Accounts Management and Business Plan – In addition to preparing statutory accounts, our chartered accountants and taxation professionals in Leeds help in monthly and quarterly accounts management to keep the business informed of areas, which the business might not see on a day to day basis and ensure the success of the business. Corporation Tax – Our tax accountants’ deal with corporate tax affairs for the clients, to include compliance & reporting. Corporation tax is charged on profits (income and gains) arising from any source, and fines and penalties are imposed on businesses failing to pay the right amount. Beginning 1 April 2016, the rate of corporation tax is 20%. Our tax accountants take away the managerial burden by providing fundamental support services. Self Assessment and Tax Return (Income Tax) – Self assessment can be confusing and time consuming for business/individual and is a system through with HM Revenue and Customs (HMRC) collects Income Tax. For employees, tax is automatically deducted from wages, pensions and savings. While others need to report it in a tax return. Tax Investigations And Disputes – It can be hard to settle disputes or handle investigations arising from either HMRC or employment concerns. With years’ of experience in dealing with tax inquiry and investigation, our chartered accountants and tax accountants in Leeds can help businesses find the perfect solve to any investigations they are faced with and avoid legal action in disputes. Inheritance Tax – As per the inheritance tax limit passed in the budget, inheritance tax allows citizens to pass on more to the family without being taxed. 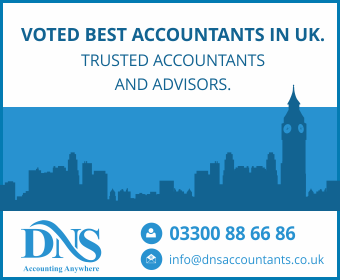 DNS Accountants – small business accountants in Leeds city centre, provide specialized accountancy and taxation services that are adapted to the personal and business needs of small-businesses, freelancers and contractors. Our chartered accountants and tax accountants focus on providing dedicated and professional services to all local businesses and individuals operating in Pudsey, Morley, Bradford, Dewsbury, Batley, Shipley, Wakefield, Ossett, and Halifax.